She and I picked this Scripture out below to memorize together (not the reason why we were laughing in the photo ;). It’s a real blessing and life transforming to hide God’s Word in our hearts and then “chew it over” and meditate on it. Anybody want to join us in learning Romans 8:15-17 in a version of your choice? No race or competition, take your time and do it little by little at your own pace. An easy way to look at a whole bunch of translations and print out the one you’ve selected is to go to: https://www.biblegateway.com/passage/?search=rm+8%3A15-17&version=MSG You can tack the verse up on the bathroom mirror, tuck a copy in your purse, put it by the kitchen sink to learn while you wash dishes or load the dishwasher, take it along while you are waiting for an appointment, etc. You can learn it bit by bit along with Joy and I in little snatches of time if you like. We just started. If you haven’t memorized passages from the Bible for awhile (like us) or ever, you’ll be so glad you did! This resurrection life you received from God is not a timid, grave-tending life. It’s adventurously expectant, greeting God with a childlike “What’s next,Papa?” God’s Spirit touches our spirits and confirms who we really are. We know who he is, and we know who we are: Father and children. And we know we are going to get what’s coming to us—an unbelievable inheritance! We go through exactly what Christ goes through. If we go through the hard times with him, then we’re certainly going to go through the good times with him! This is how I want to run my race in life: rise every time I stumble or get tripped up by the tough stuff or fall down. It’s not about coming in first or last place, it’s about persevering through the thick and the thin. May we never give up even if we have to crawl over the finish line sometimes. This gal in the link inspires me! Thanks for passing it along, Onecia! If anyone else has encouraging links, I’d love to see them please and thank you ahead of time! Next Monday, 10/31, I have an appointment with my oncologist and will find out when chemo is to start (probably next week or the week after I guess). Yesterday I went for an evaluation of an axillary contracture and lymphedema which has developed in my chest. Since surgery a month ago I’ve been daily doing post op exercises and proactively using the affected arm to reach with, etc hoping to avoid complications like this. Apparently I have extensive, deep scarring (beyond the incision) which is causing puckering , major indentations, restriction of movement, shortening of muscles, fluid collection, a burning sensation because of nerve involvement, and pulling when I stretch. Yikes-a-roozy on that unwanted list! It feels like a great big bummer that I wish didn’t happen. I begin the process of therapy today and am hoping this brings great relief to a chest which honestly kind of feels miserable at times. Yesterday my friend Mardi shared a definition of fear that’s new to me on our way with Robin to a wonderful, healing arts cancer support group. I’ve been attending “Victory” http://victorysupportgroup.org/ once a month over the last several years. We sing, dance, talk, do a variety of art forms, have laughter therapy, and a bunch of other fun stuff. The meetings are a source of creative stress relief/ learning new coping skills, and encouragement. Last night we “stomped all over cancer” with Anne’s adapted, improved version with new, cancer fightin’ words to this other rendition of “These Boots Were Made for Walking” : https://www.youtube.com/watch?v=kuOwXiEm_K4 It was empowering and we had a good time together. Instead of dwelling ahead of time on how terrible oncology drugs are with their potential side effects and how yukky they can make you feel, I want to view chemo as a short term season of eradicating any remaining cancer; a temporary healing measure that is going to do me a whole lot of good instead of thinking of it as poison. I had chemo in 2011 and I have every reason to believe that’ll be effective again. There are medications available for side effects when/if they happen. God has made the human body wonderfully resilient. Soooo…out with trepidation! Out with worrying and being anxious about chemo! This might possibly be in the 97% of my “nothing to worry about quota”. If indeed it happens to be in the 3% of things worth worrying about after all, God will help me through. My scaredy cat tendencies are peeking out. Can you please join me in asking God to help me with my perspective on the cancer treatment ahead, fill me with strength, faith, joy, and hope and give me all the courage I need, when I need it ? 6 Do not be anxious or worried about anything, but in everything [every circumstance and situation] by prayer and petition with thanksgiving, continue to make your [specific] requests known to God. I Wish I Didn’t Personally Know What an Axillary Contracture Feels Like! Despite the post-op exercises I have been doing and attempt to use my right arm as much as I can to proactively reach up over my head, etc, I have formed an axilary contracture. There is a shortening and tightening of my muscles which has become quite painful, is restricting my range of motion, and has caused cording. This in turn seems to be contributing to a build up of trapped fluid (lymphedema) in my trunk. The surgeon did an excellent job with my incision and now that has distorted into a new vertical line as well with indentations of my chest area because of trapped tissue and fluid build up. I HATE this kind of stuff! I wish I could have kept my old chest and lymph nodes intact minus all cancer but alas, that was not an option. In November I start weekly chemo for 12 weeks and IV Herceptin every three weeks for a year. Next week I start therapy to address the lymphedema to decrease the swelling, mobilize the restrictions I have in the scar and other areas, stretch back out the muscles, see what we can do about the cording, and improve the range of motion I have in my arm. The below excerpt is copied and pasted directly from a thought provoking article : http://natepyle.com/confronting-the-lie-god-wont-give-you-more-than-you-can-handle/ (Thank you, Teresa). This latest setback has been disheartening. It feels like a real, genuine 100% bummer honestly. The article I linked and shared a quote from below was a comfort to me as the many aspects of cancer that snowball do feel overwhelming at times and it sure seems like more than I can handle. BUT the truth is, cancer brings me to the end of myself and running straight into the arms of my loving Heavenly Father because sometimes, He DOES give us/allow more than we can handle so that we do just that. I am weak but He is strong. I am asking the Lord to give me a good attitude and a perspective that reflects His as I to learn how to make healthy, sweet lemonade with these sour, bitter, dreadful lemons that I am being handed. I find myself crying out to God over and over as I walk through Cancerland, ” Help me Father, I can’t do this, BUT YOU CAN”. “…Later, Paul will write it is when he is weak that the strength of Christ is seen. In other words, when we can’t do it any longer. When we are fed up. When it has become too much. When we have nothing left. When we are empty. When it is beyond our capability to deal with it. Then, in that moment, the strength of the God of resurrection will be seen. Until we get to that point, we rely on ourselves thinking we can handle it and take care of the problem. Don’t hear me saying I am rejoicing because of the last couple of weeks. I am not. Not once have I danced around our house shouting, “Yeah suffering!” Instead, in the midst of pain and hurt, I am actively expecting God to do something. I don’t know what. I don’t know when. But I am expecting the God of resurrection to heal us. I am expecting God to restore us. I am expecting him to redeem this situation. I am expecting him to do this and so I will be actively looking and waiting for him to do something. I believe expectant waiting can only happen when we exchange our feeble platitudes for an authentic faith that engages God with the full brunt of our emotion and pain. Only then can salvation been seen. I really appreciate your prayers, friends, Thank you from the bottom of my heart. My incision is healing well but I haven’t felt so well this past week and have been pretty wiped out and under the weather. I was thinking maybe it was an infection with the drain even though I was on an antibiotic to prevent that but I’m glad to be feeling some better the last few days and I am thankful that I don’t think there is an infection after all. What a relief it was on Monday to get that irritating drain out that was in my chest postop. It was in there 2 weeks, a few days longer than it needed to be because of Hurricane Matthew on it’s way and then the weekend right afterwards and I developed a skin reaction from it with a bright red rash around it that had a ferocious itch, stinging, and burning. I am on two prescription medicines for the rash. After four days it looks nearly the same and is not a pretty site but I am no longer crawling out of my skin with itching so that’s progress. I also saw my oncologist on Monday who wants me to continue healing more before starting chemo which will begin in early November. There was consideration of possibly using a research protocol with a drug called Kadcyla (TDM1) for Stage 1 cancer which is showing promise with Patients with metastatic Her2 positive breast cancer but I was not eligible after all because this is my second primary breast cancer in six years. I was interested in participating in the research study and getting that drug instead of chemo but am trusting that God shut that door. 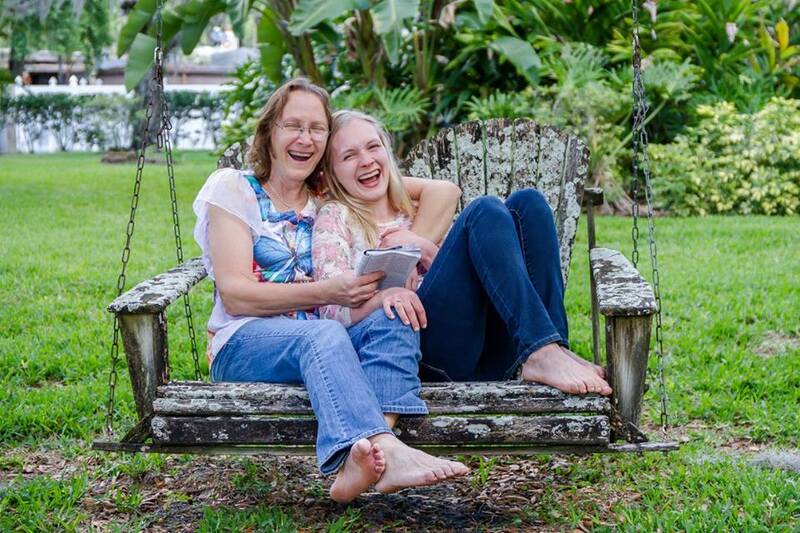 Kadcyla has been a lifesaver for some women with metastatic her2 disease but does have some very serious potential side effects as do all these oncology drugs. Taxol usually causes complete hair loss, including head, brows, lashes, pubic area, legs, and arms. 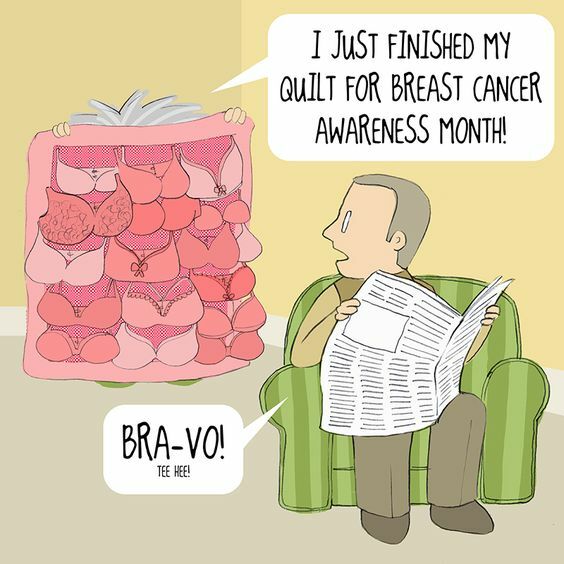 Oh my, been there, done that: time will tell…sorry if this is too much info about the joys (not) of chemo. 41. This sweet and beautiful “ABCs with a Twist” video was a blessing for me to watch: https://www.youtube.com/watch?v=G4QJEKuywG8. It reminds me of years ago when my dear friends and mentors Sonia and Linda challenged me and my then little chickadees to memorize and meditate on portions of Scripture. I still remember some of the hand motions we used to help us with recall as we recited verses together. 🙂 Unlike my kids, I am not a very good memorizer. I’m going to either look for a new passage from the Bible or find an old one we’ve learned in the past to refresh (“use it or lose it” and I’ve lost lots that I’ve memorized because I didn’t continue practicing.). I’ll post what I choose–maybe others reading this would want to learn it with me? P.S. I’m sorry in advance if this post doesn’t format with paragraphs. I always put them in but it seems when I post, sometimes it turns into one long blob without paragraphs. As Hurricane Matthew nears closer and closer to Florida and we prepare for it’s expected significant impact later today and tomorrow, I am reminded of the song, “In the Eye of the Storm”: https://www.youtube.com/watch?v=ZB0ReTpA6Gg. It’s so good that we can trust the Lord in ALL the storms of life! He will carry us through each and every hard thing He allows. May we keep our eyes fixed on Him. 42. Happy news from my surgeon re: the operative path report confirming no sentinel node lymph node involvement and stage 1 cancer (It was stage 3a in the other breast) which means chemo but no need for radiation this time around, yeah! -Overall I have been recovering well since my mastectomy and port placement last Tuesday but I have not been feeling as well the last few days and am laying low. I have a drain in my chest that can come out when it’s output is less than 20cc in 24 hours. I had 17 cc one day then it jumped up to 46 cc the next. It would be wonderful to consistently have minimal drainage and be able to get that irritating thingamabopper out soon! Please pray for God’s wisdom and guidance for my oncologist in determining the best protocol for chemo on top of the year of IV Herceptin. I will see him on Monday. “I define joy as a spectrum of emotions, actions, and responses that includes gladness, cheer, happiness, merriment, delighting, dancing, shouting, exulting, rejoicing, laughing, playing, brightening, blessing and being blessed, taking plea­sure in and being well pleased. The Bible insists that joy is more than a feeling; it’s an action. 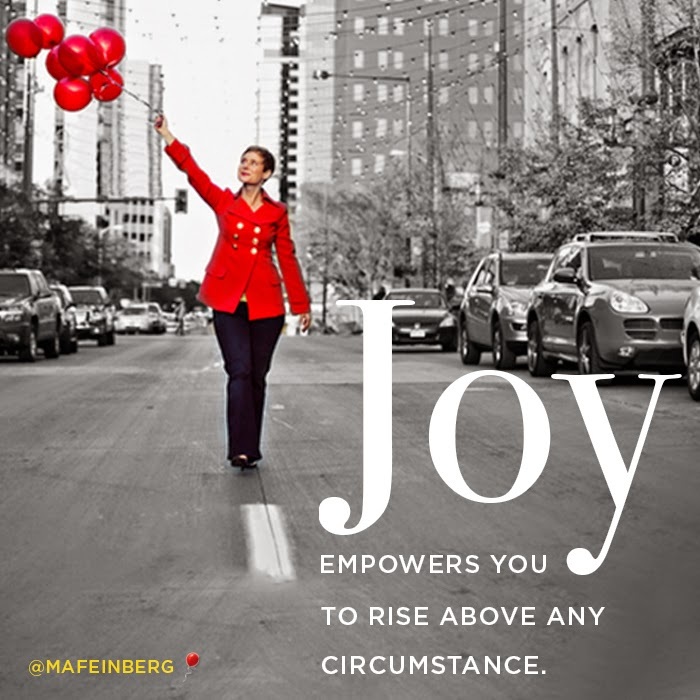 We don’t just sense joy; we embody it by how we respond to the circumstances before us. What is the genesis of this joy? I believe that, at its core, joy emanates from the abiding sense of God’s fierce love for us. The tigerish love of God from which joy comes is foun­dational to faith. God’s love guards us, protects us, grows us, strengthens us, and compels us to walk in greater trust and holiness. This is no passive affection, but a feisty, fiery pledge to grow us into the fullness of Christ. When we embrace this love and cultivate an awareness of it, our hearts are filled with joy. Such awareness strengthens our resolve that no matter the fight, we face it confident that God is with us and for us. When we fight back with joy, we no longer size the character of God according to our circumstances, but we size our circumstances according to the character of God and his great affection for us. Perhaps no greater joy has been given to us than through the person of Jesus Christ. Jesus came to take away the sins of the world. Through his sacrifice, everything that stands between God and us is wiped away forever. We bring God and all of heaven great joy when we give ourselves wholly to Christ. Jesus arrives in joy, departs in joy, and calls us to great joy through fellowship with him. The proper response to being drenched in so much wondrous affection is to bring delight to God by offering our lives to him through obedience. 36. My incision is healing well. Thank You Lord for the scars on my chest: evidence of the courage You gave me and a symbol of being brave with Your strength and a kind of “bullet-proof”, reminding me that You walk with me through every storm. The scars teach me that You’ll “carry me through anything, get me through everything, so I can be stopped by nothing”. That’s the kind of perspective I want to have about these scars, rather than looking at them as ugly things, to view them as a sign of healing and being fully alive. Thank You Lord, that the scars on my chest replace both breasts that held the cancer and that the cancer has been removed. Thank You for the skill of both my breast surgeons guided by Your Hand years apart and that my future is bright and full of hope as I walk with You. “I will not be ashamed of my scars because they are brushstrokes in the Masterpiece that is my life”. “For God SO loved Paula (and fill in YOUR name) that He gave His only begotten Son, so that if Paula (and fill in YOUR name) believes in Him then Paula ( and fill in YOUR name) should not perish but have everlasting life. The definition of “SO” means “To a great extent or degree; very, extremely; exceedingly, enormously, tremendously, to an immeasurable degree”. It’s such a little word to mean a great big thing about God’s love for us that He would give Jesus to die on the Cross for us and then raise Him from the dead. What love! What a grand arrangement and great news that we can have everlasting life because of simple faith plus nothing! My cup overflows with blessings! “We all face situations in life that feel out of control. During times like these, it’s easy to get discouraged and allow fear to creep in; but instead, why don’t you focus on the fact that God is holding you in the palm of His hand! There is nothing too difficult for Him; nothing’s impossible; nothing is beyond His ability. When God holds you in His hand, you are safe; you are cared for. In His hand, there is victory. In His hand, there is strength. In His hand, there is provision. In His hand is everything you need. No matter what you may be going through today, you can trust that God is for you. Instead of getting down and depressed over your circumstances, look up and get a vision of God turning that situation around. Let faith rise in your heart and focus on His favor and blessing…keep your heart and mind focused on Him and choose to obey His Word. He holds you with His victorious right hand!